Unconditional love provides children with the security they need to feel safe exploring the world. When a child feels that they will be loved no matter what, they can take risks because they aren’t consumed with worry about how what they do will be perceived by their parents. They can foster their natural curiosity without hiding it in shame. You already love your child through thick and thin, whether they are making your heart melt or are throwing a temper tantrum. However, children don’t naturally understand that. When they misbehave and you respond by getting angry and punishing them, they internalize it, and over time, this can lead to low self-esteem. This doesn’t mean that you should just let your child misbehave, but when you are correcting a behavior, it’s essential that they know that even if they did something wrong, they are still loved. 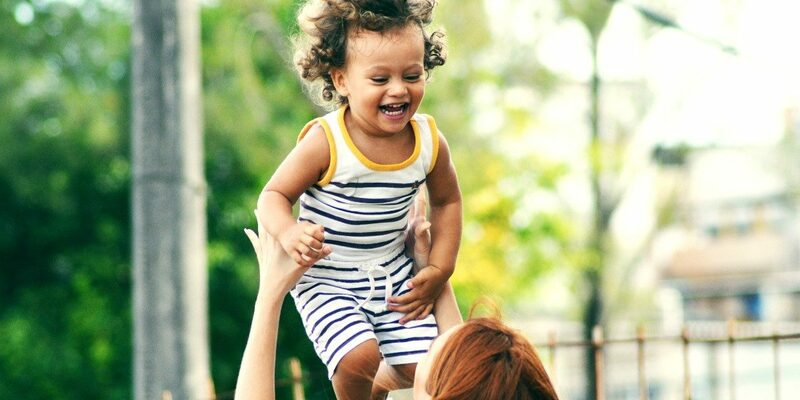 By demonstrating self-love for your child, they learn to be more loving of themselves, and can feel safe trying new things with the understanding that if they fail, it doesn’t change their worth. Many punishments, such as spanking or time-outs, are actually sending the wrong message to children. When you punish your child, the message they get is, “You either do what I want or I will hurt or reject you.” This is an incredibly detrimental message for a child to receive, and generally manifests in them responding with defiant behavior, submitting in shame and low self-esteem, or engaging in sneaky behaviors as they get older. In addition, instead of threatening a punishment or removing a privilege, let your child experience the natural consequences of their actions instead of imposing one yourself. For example, if your child intentionally knocks their milk on the floor, then they should not get more milk. This teaches them that spilling their milk on purpose has a natural consequence — they don’t get to drink milk that day. When you’re feeling frustrated with your child’s behavior, it may feel like they are being intentionally difficult. In reality, misbehavior is a child’s way of communicating how they feel and what they need from us. Look at your child’s behavior through their point of view. Maybe they are arguing with their sister because they’re worried that she is taking their place in your heart, meaning they need to feel closer to you. Maybe they feel like you’re not understanding where they’re coming from, which is why they keep pushing back and arguing. Try your best to understand where your child is coming from so you can address the underlying problem. 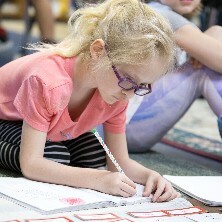 At our Montessori school in Leesburg, we would love to help your child explore their world by providing them with a safe environment in which they can feel free to take risks. 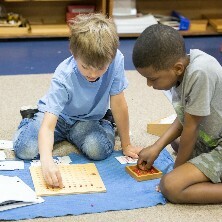 If you’re interested in Lake Montessori for your child, contact us today.